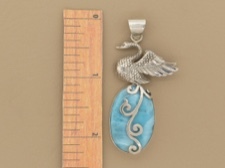 Stunning hand-picked larimar cabochon topped by a sterling silver swan. 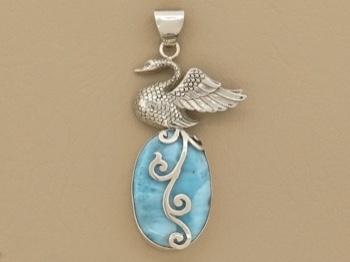 Elegance in motion, swans are among the largest flying birds with wing spans that can reach ten feet. Enjoyed for their beauty and grace. 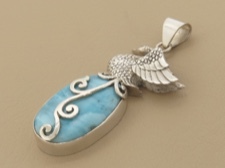 Lovely paired with larimar, a rare gemstone found only in a mountainous, hard to access province of Barahona in the Dominican Republic.